doc1, JackEb and Power581 like this. Looks like me trying to get out of bed in the morning. huskystafford and JackEb like this. It would make a cool T Shirt too Bro, just sayin . And you have seen some of the dumb stuff I’ve posted in the past. You know you’ll get nothing but help and support man. It won’t be easy, but that’s not a bad thing. Having a little push to try something a bit more challenging is great, especially if it’s only practice, it doesn’t matter if it doesn’t work out quite how you wanted. I’m sure there’ll be a tonne of learning from it, and that’s what practice is for Buddy. If the end result is a blob with wings then you can chalk it up as a success. SO now I have a question on this challenge are we trying to do an exact copy of the reference or just using the reference as a starting point? I want to make sure I paint this how we're supposed to. Haha, since when do we Follow rules !! Paint it however you like, if you want to do realistic then do it realistic. This is just something we can all do, just like the challenge you threw out a few years back for the newbies and the seasoned pros. Same reference for all. SiRoxx, Dimitris and JackEb like this. SiRoxx and twood like this. Print it out as a line drawing then use the airbrush to colour it in. 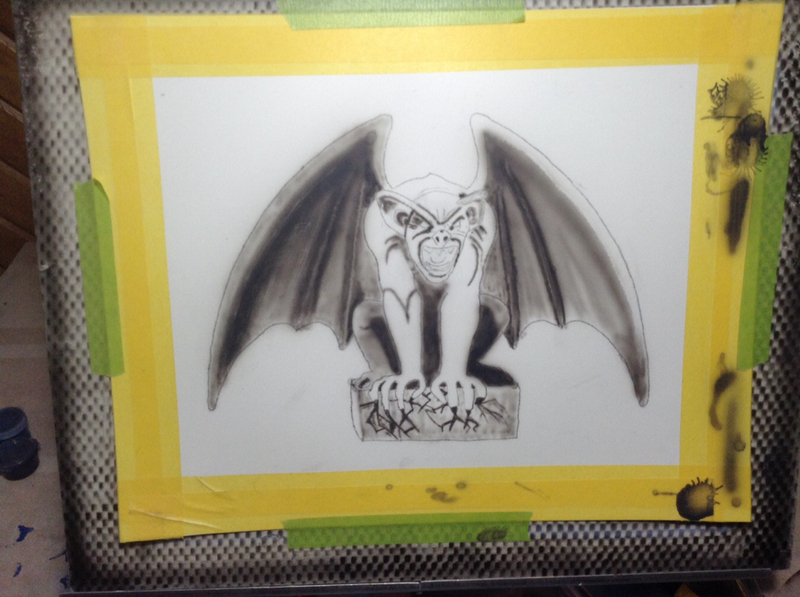 Haha, I’m in the “PP first, Gargoyle second” camp too. I love how this idea has taken off. It's a wonderfull idea, I'm in! You can do this Husky. this could be done easily with an Eclipse. If you pick the right surface you can get the details in with erasing/layering. I know that many will look at it and think 'no way' but this is do-able by all. If you are worried then go with a larger 'canvas'... A3 would be fairly forgiving. Nice one Lucio! I’m really looking forward to seeing the different takes on the ref. So after getting my PP mailed out today and not feeling like working on my turtle picture I decided to start this one. It will teach me a lot about shading that's for sure. doc1, Ronald art, SiRoxx and 3 others like this.